If one were to look back 40 years, one can discover numerous strong and courageous leaders representing the nation of Vietnam. Whether it be the Communist North (excluding Ho Chi Minh & Le Duan) or the Democratic South Vietnamese, the leaders fought for a cause, not like the leaders of Vietnam today. The days of strong and willful leaders such as Ngo Dinh Diem, Nguyen Van Thieu (South Vietnam), and Vo Nguyen Giap (North Vietnam) are over. It is true that these men were on opposite sides, that one side (the North) chose the wrong ideology, and that they were bitter enemies. However, no matter how different these leaders are, they would never bow down and sell out their own country like the Communists today. 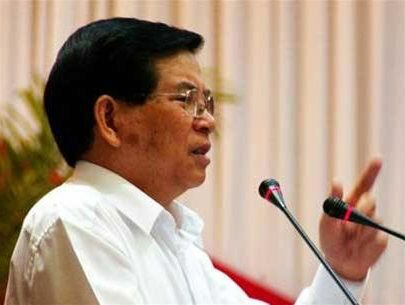 In the year 2010, Vietnam is under the rule of the corrupt, incompetent, and cowardly Communist Party characterized by the likes of Nong Duc Manh, Nguyen Tan Dung, and Nguyen Minh Triet. Currently the Vietnamese Communist Party has approximately 3 million members, with the Politburo at the top. The Politburo is composed of 14 members that include Manh, Dung, and Triet among others. These individuals call the shots within the Party and hold absolute power over everything inside the state of Vietnam. Unfortunately, in the hands of these man, the power is often wielded and abused in tyrannical ways, usually creating more suffering and hardship for the Vietnamese people. Not only does the VCP silence all opposition, crackdown on dissidents, and spend tax-payers’ money on their own selfish needs, but are also willing to obey orders given to them by the CCP (Chinese Communist Party) however detrimental it may be to the Vietnamese people. Never before in the history of Vietnam have the leaders willingly sold out their own people to further their own ends. Compared to leaders such as Ngo Dinh Diem, Nguyen Van Thieu, and Vo Nguyen Giap, the leadership of Vietnam today is simply trash. Current leaders of the Vietnamese Communist Party (Left to Right): Nguyen Tan Dung, Prime Minister, Nong Duc Manh, General Secretary, and Nguyen Minh Triet, President of the VCP. What does the Communist Party of Vietnam do to better the lives of Vietnamese people today? Absolutely nothing. It seems that the only thing the VCP (Vietnamese Communist Party) is interested in is maintaining their hold on power. The current Secretary General of the VCP is Nong Duc Manh. Under him, the Vietnamese people experience nothing but pain and suffering. Most of the VCP’s policies tend to focus on the suppression of the Vietnamese people through violence, fear, and propaganda. The reason for these tactics is so that the people in Vietnam do not realize what the Communist Party has done to their citizens and the country. They do not want the people to realize that the Party has lied to them, cheated them, and are simply selling them out to support their corrupted regime. Almost every source of information in Vietnam is censured by the government in order to keep the Vietnamese citizens in the dark about what is really going on. Needless to say that the Communists today are terrified of the knowledge that is readily available to individuals through the internet and other instant sources. If the Vietnamese people were to find out what the government has done to the country over the last few decades, it is an understatement to say that the VCP would be ousted in an instant. 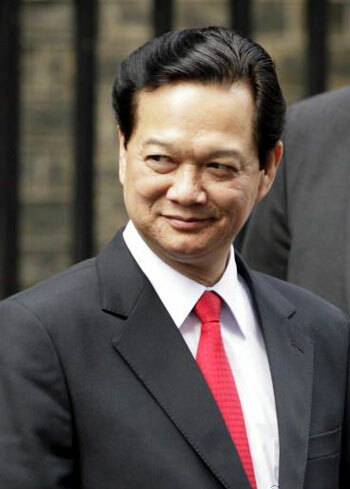 Just a few days ago Vietnamese Prime Minister Nguyen Tan Dung came to Washington to attend the Nuclear Security Summit hosted by U.S. President Barack Obama. Upon his arrival, many Vietnamese-Americans gathered in the streets of Washington to protest against him and the corrupted Communist Party of Vietnam. The demonstrators held signs demanding the release of democracy activists currently jailed in Vietnam for the so-called crime of “spreading propoganda to overthrow the state.” The protestors’ signs and posters were accompanied by the flag of South Vietnam, representing democracy, freedom, and human rights. This protest is just one example of how illegitimate the Communist Party has become in the eyes of all Vietnamese people around the world. If only the suppressed people living in the heart of Vietnam knew what was going on. 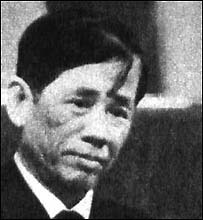 Le Duan was one of the top four leaders in the Vietnamese Communist Party during the Vietnam War. When Ho Chi Minh died in 1968, Le Duan took over as the head of North Vietnam. He wasn’t a highly educated man like Vo Nguyen Giap, but Le Duan was highly intelligent. Some facts suggests that he was the man pulling much of the strings inside the Communist Party. Further evidence even supports Le Duan surpassing Ho Chi Minh in terms of support within the Party. With his charismatic character and clever political mind, Le Duan was able to marginalize Ho Chi Minh’s influence. 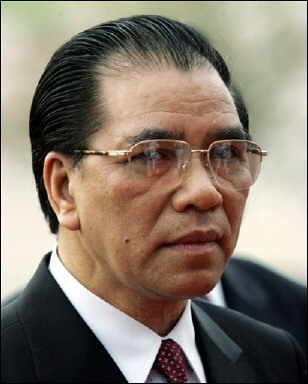 In the years after the civil war, Le Duan also manages to neutralize general Vo Nguyen Giap and consolidate his power. He may be a smart politicion, but when it comes to running the country, Le Duan fails in a major way. When the North takes Saigon in 1975, Le Duan orders for the execution of many Southern soldiers, government officials and professional workers. He could have utilized the Vietnamese talent to build the country but instead took revenge on individuals who were just doing their job. Not only that, he destroys the strong economic base that South Vietnam had developed over the course of 20 years, weakening the country significantly. He also established the “New Economic Zone,” where all the landowners and rich individuals were held after they were stripped of all their belongings. Le Duan’s treacherous government policies and hardline, Stalinist approach created the suffering of millions of Vietnamese people. He may be clever politically, but as a head of state Le Duan fall’s significantly short. From 1954-1975, Saigon was known as the "Pearl of the Orient." During the Vietnam War, under the leadership of President Ngo Dinh Diem and then later President Nguyen Van Thieu, the city of Saigon was prosperous. 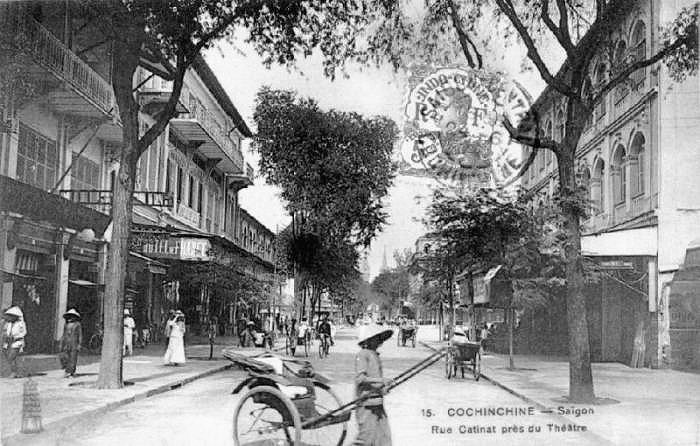 Known for its sophistication, flourishing economy, and rich culture, the city of Saigon earned the name “Pearl of the Orient.” The bright city streets were filled with busy people and business was booming. Sadly, this prosperity would only last for a short time. In 1975 when the Communists took over, Saigon’s name changed to Ho Chi Minh City. This is the time when things begin to fall apart. As time goes by, the Communists slowly undo everything that the South had worked so hard to build. In Ho Chi Minh City today, the appeal and sophistication are gone, economy activity is sub-par, and the culture is none existent. Children as young as three must work the streets day and night in order to feed themselves. Beggars and thieves roam freely in the streets and criminals lurk around every corner. The Communists Police patrol the streets, sometimes for criminals, but most of the time for signs of dissent and discontent with the government. The city is no longer viewed as “the Pearl of the Orient,” it’s just another place now. It is true that Ngo Dinh Diem was murdered by his ex-general Duong Van Minh in a military coup, but why did the coup take place? The answer is not a simple one. 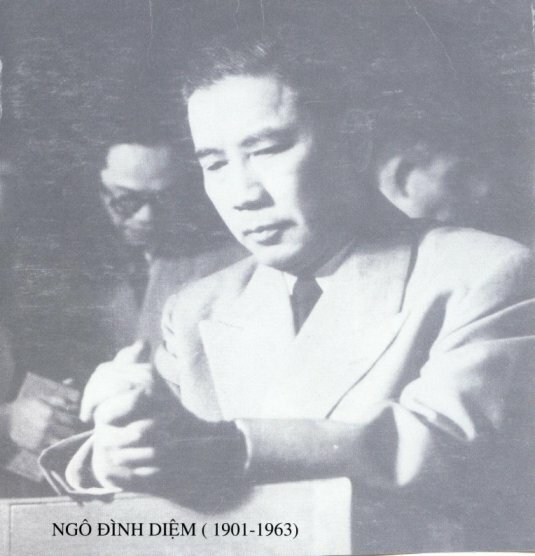 Ngo Dinh Diem is a strong leader and much of his views are contradictory to the Americans. President John F. Kennedy and his administration wanted someone they can control, who can act on their behalf. During the Vietnam War era the American media and much of the literature in the U.S. accuses President Diem of being corrupted, this is not true at all. President Diem was assassinated on November 2, 1963. One cannot deny that he was a nepotist, but he did not commit any illegal act as the leader of Vietnam as some would suggest. The reason President Ngo Dinh Diem gets murdered by Duong Van Minh is because of was will to oppose American imperialism. The Americans wanted him to do what they instructed him to do, something that Diem will not comply with. President Diem’s actions were in the interest of Vietnam and not the Americans. So for that reason, the American government looked for a man who was willing to do their dirty work for them. They wanted someone who hated Ngo Dinh Diem, who can’t understand the complexity of the situation and was easy to mold. The Americans discover these traits in ex-General Duong Van Minh. So on November 1, 1963, President Ngo Dinh Diem and his younger brother Ngo Dinh Nhu were kidnapped and executed the next day. Before Diem’s death, North Vietnam was kept in check, his assassination gave the Vietcong an opportunity to move in the army. After Diem died, it took three years of continuous failed governments before Nguyen Van Thieu finally emerged. The Americans acted in their own interests and not in the interests of Vietnam. The killing of Diem caused tremendous turmoil for the people of South Vietnam. 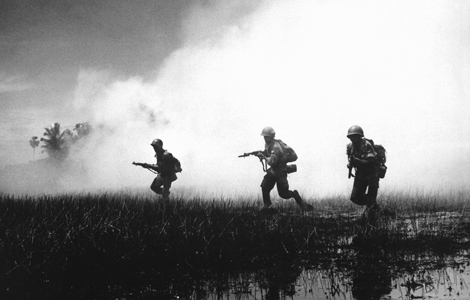 If Diem had lived, the course of the Vietnam War may have gone in a much different direction. Although I believe that the Americans should never have been there in the conflict, I think that it is important to acknowledge what these soldiers have done for Vietnam. I have very strong feelings about the American involvement in Vietnam from 1964 to 1972, mostly that America should have never have got involved in the first place. However, when the Americans did get involved, I believe they should have stayed to the very end of the fight instead of simply abandoning South Vietnam in 1972. Nonetheless, I still feel that all the soldiers who gave their lives for South Vietnam should get some recognition, whether they be American or South Vietnamese. We must send our deep love and appreciation to the many courageous men and women who gave their lives, thank you very much and may god be with you.